Home / Beer • brewery / When the Tree House out grows the tree! On Saturday, the 15th of July, beer history was made! Three kids from the tiny towns of Ware and Brimfield Massachusetts, completed what is possibly the most cerebral of all dreams for any home brewer. 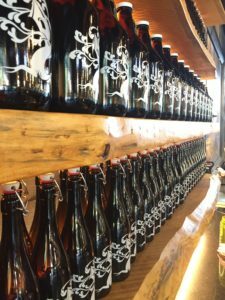 I am almost certain five years ago, when they formed the company known as Tree House Brewing, they probably did not think they would be opening the doors to a new brewery. 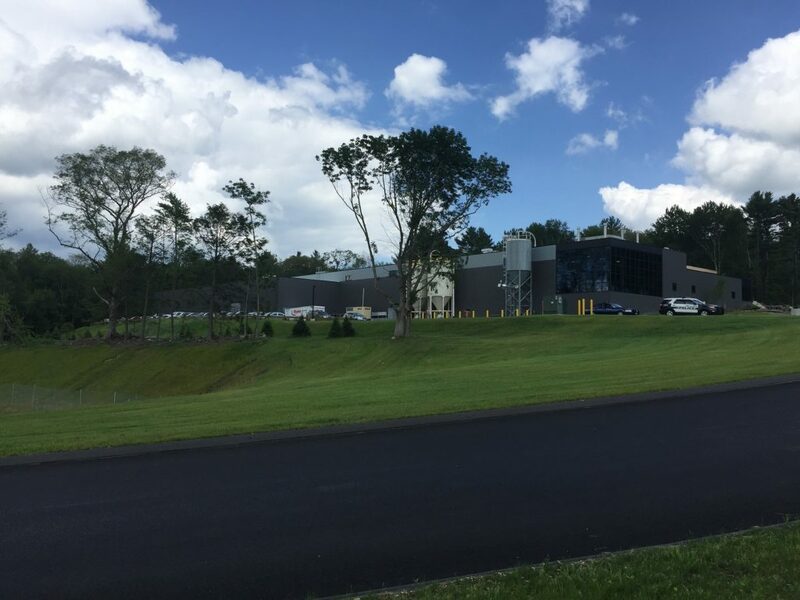 One that is 53,000-square-foot in size with plenty of room to grow in woodsy Charlton, MA. I witnessed all of this glory in person and it is spectacular! That’s just the brewery and the ground it sits on by itself. The beer, well, we all know the beer is phenomenal. If you haven’t had the beer yet, get your beer loving self to the new location or find someone to beer trade with to get your sticky fingers on a few cans! 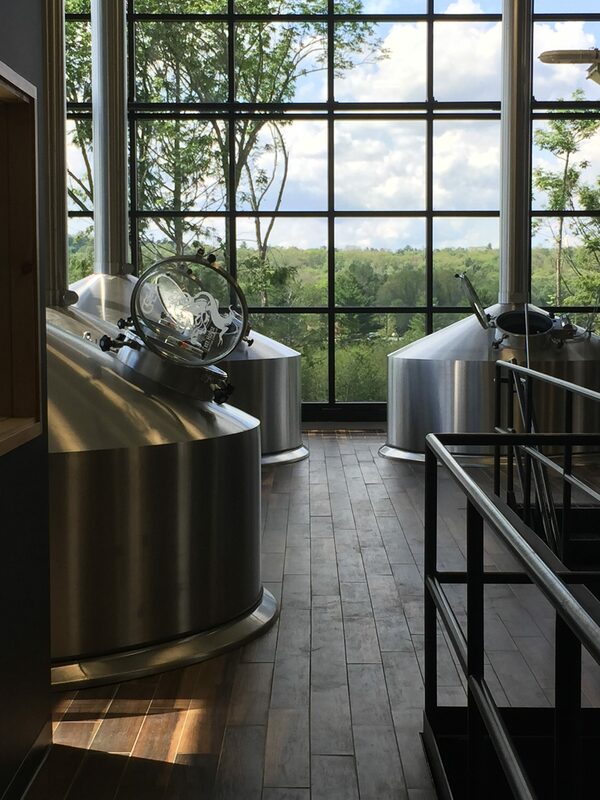 You will soon realize why Tree House now has this goliath of a place to brew beer. 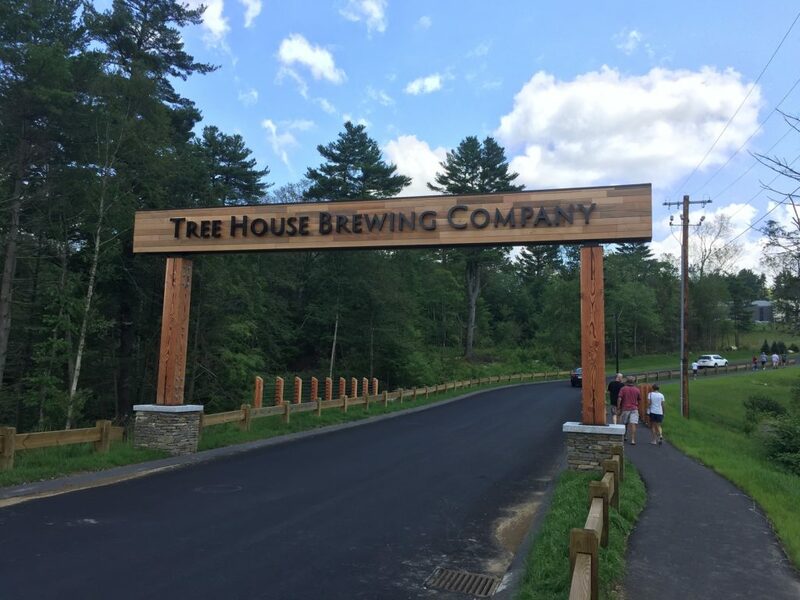 The Commonwealth of Massachusetts also believed in Tree House with an 8 million dollar tax-exempt bond to kick start this construction project. Money well invested in my opinion; way to get it right Massachusetts! 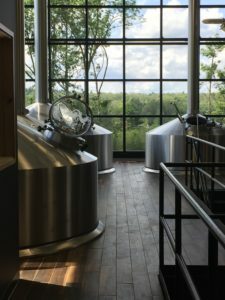 At about 2:30 pm, the day Tree House quietly announced the hours for the opening, I started to make my way to 129 Sturbridge Road (Route 20) in Charlton, MA. I was directed into the first and very full parking lot at the beginning of the long driveway that heads up a hill to the brewery. Walking up the road, stepping closer to the excitement and hysteria of about 600, maybe 700 or more (guestimate) people in view. There were babies in strollers, dogs on leashes, adults young and old with a beer in hand. Sitting at tables in the stunning dual fireplace pavilion, listening to music, and purchasing food at one of the two food trucks. It was all an awesome site to see! It took about an hour to get from the back of the line to the front entrance. However, it went by fast as I spoke with other passionate beer folks also waiting in line. I met several that were from surrounding towns like Leicester and Millbury, Massachusetts and as far away as Coastal Connecticut and the New Hampshire/Maine border. 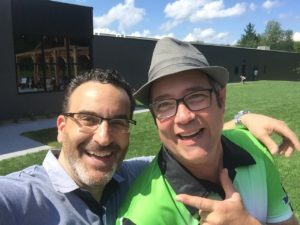 I also had the greatest of opportunities to meet Dean Rohan, one of the co-owners of Tree House, for the very first time. A super nice guy who graciously gave a few minutes of his time to talk with me. 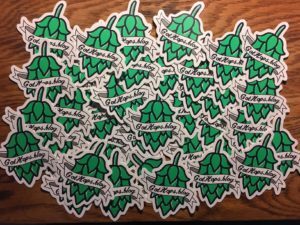 I like to pass out my GotHops.blog stickers to would-be readers when I arrive at taprooms, package stores, or breweries. Whether that is giving them directly or leaving a few at the bar. It is also a great way to start a conversation and this was the perfect day for the aforementioned. I am sure the Tree House staff was probably getting tired of seeing them that day. 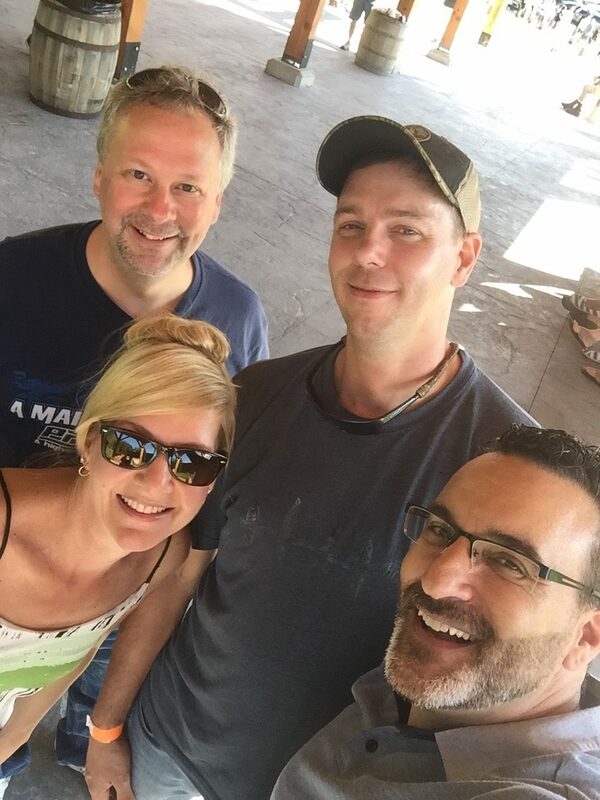 However, there always giving with a friendly smile….ALWAYS! 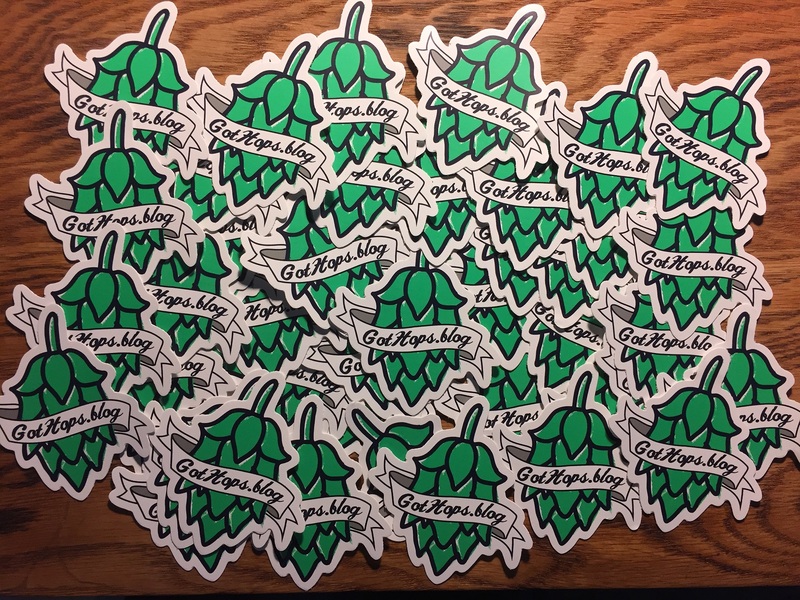 ‘Cuz everybody loves stickers! I am hoping someday soon, I can come back to the new spread (or even visit the old one) and get a broader view of the operation, and possibly talk to co-owners Nate and Damien too. I would like to witness the play by play of what makes Tree House one of the most sought after beers in the country. If nothing else, maybe just hang out with Dean for a day. I think that could be an awesome adventure in itself. I am also trusting he will understand my sarcastic humor. 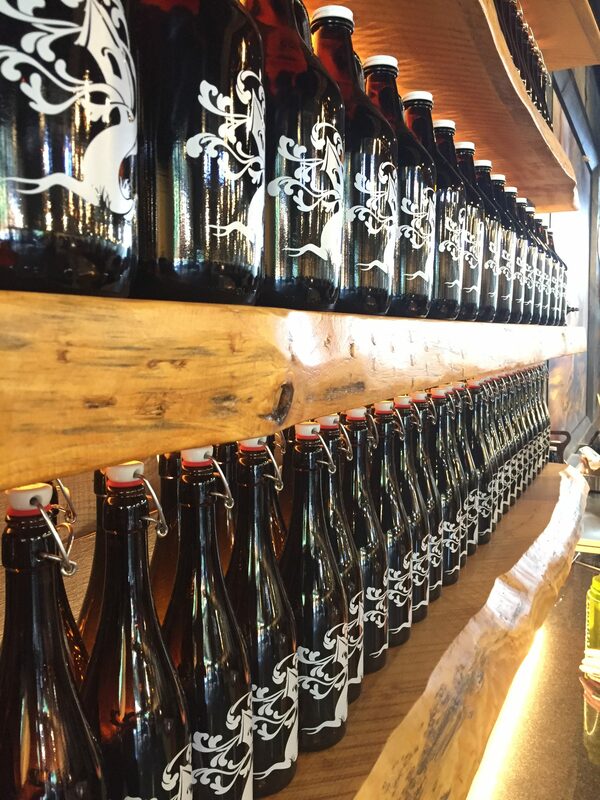 You can keep up to date on Tree House can releases and hours via Twitter @TreeHouseBrewCo. or at their website at http://treehousebrew.com/on-tap. I should mention that each person was allowed only two 16 oz. pours on this sunny and gorgeous Saturday afternoon. My two choices? Of course Doppelganger. I love this one, all day long! My other choice? I had the ESB, otherwise known as the Old Man. I am very certain I might have found myself a new favorite; it was insanely good! Trust me on this and try it.  Click the link below for a complete gallery of pictures taken of my visit. 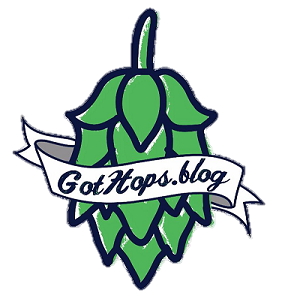 Feel free to use and share but please give proper credit to Tree House Brewery and GotHops.blog. Thank you!